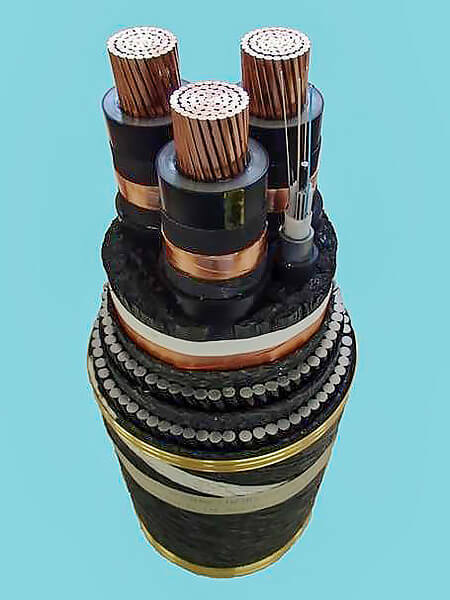 HVAC (High Voltage Alternative Current) Cable | Sumitomo Electric Industries, Ltd. 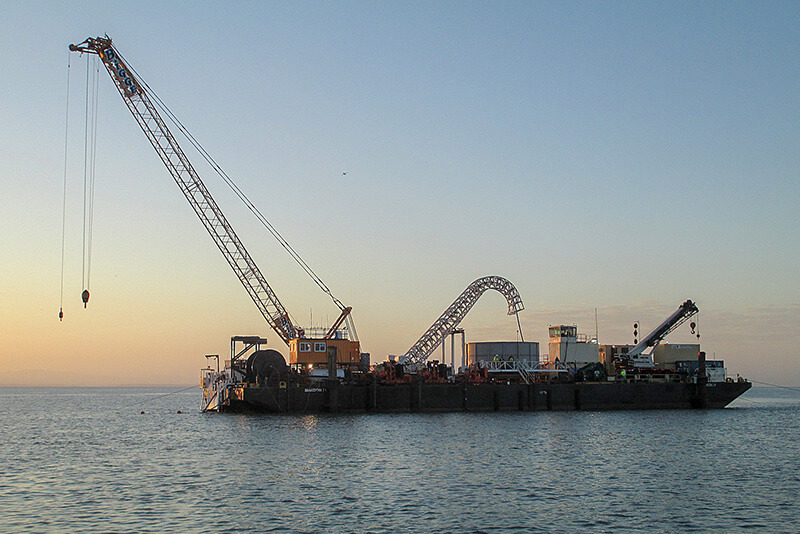 Submarine cable is a vital component of offshore renewable energy projects such as wind farms. 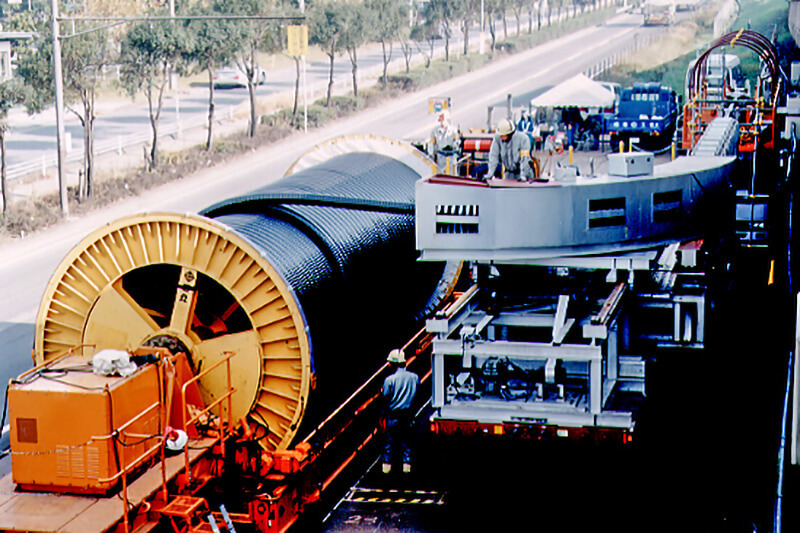 We were among the first to produce and develop submarine cables in the world providing a wide range of solutions including XLPE, Mass Impregnated (MI), Fluid Filled, HVAC, HVDC, Medium Voltage to Extra High Voltage cables along with in-house developed cable accessories. Sumitomo Electric manufactured and supplied the first high voltage submarine cable in 1921 in Japan which was also the world's longest cable system at that time. Our supply track record of delivering submarine cables since then exceeds 6,000 km. Submarine cables are sometimes installed in harsh environments that include high waves, currents, water pressure or unforeseeable obstacles on sea beds. Therefore, the installation of submarine cables requires much more sophisticated technologies than those needed for underground cables. Sumitomo Electric’s integrated design, production, installation and project management capabilities enable reliable and in-time completion of complex installation projects. 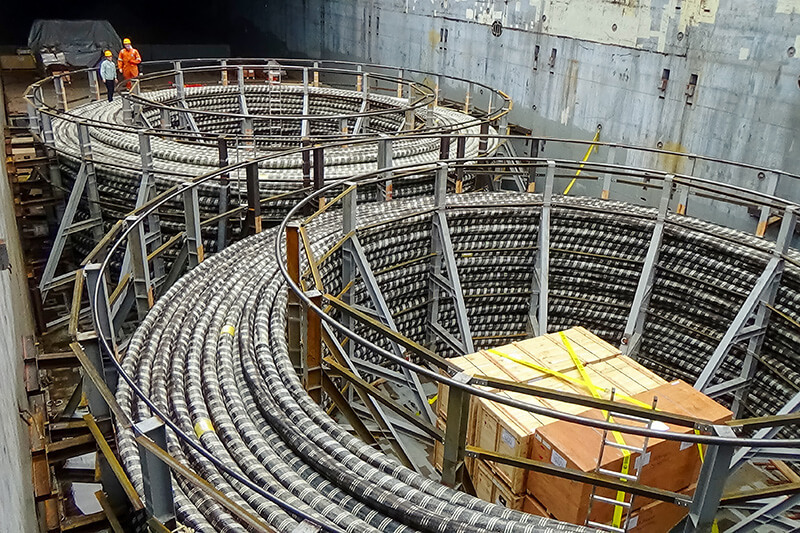 he San Francisco Bay Crossing project includes 230 kV XLPE 1,400 mm2 submarine cables with total cable length of approx. 14 km. We have manufactured specially designed submarine cables to meet customer’s requirements on high tensile strength of the cable. A project for 155 kV submarine cable connects an Offshore Wind Platform and a HVDC offshore platform in German North Sea. In order to meet growing demand of the submarine cable in the region backed by governments' policies to increase renewable generation capacity, Sumitomo Electric is committed to provide reliable and robust cable systems to the market. High voltage underground cable systems are designed to transmit electricity in both urban and rural areas where constraints regarding right of way are growing despite the rising demand of electricity. 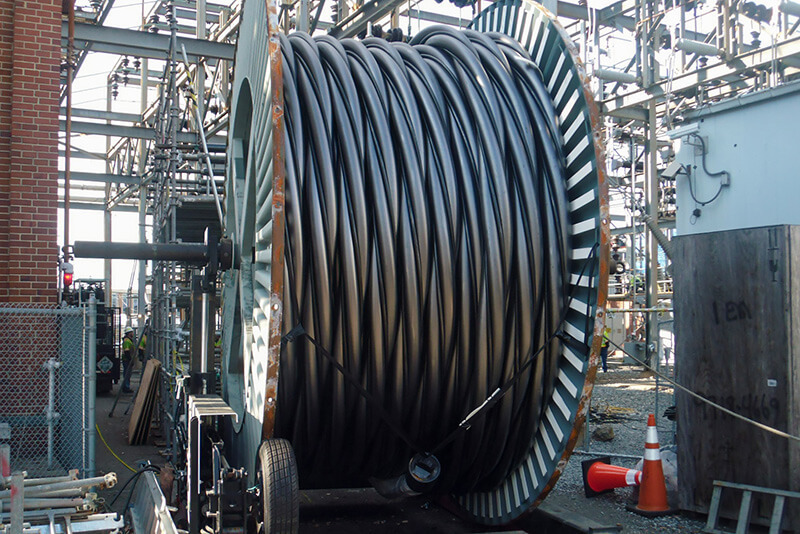 The cable technology is also utilized for river or canal crossings, mines or crossing of environmentally sensitive areas. Along with the state-of-the-art cable manufacturing technologies, Sumitomo Electric has extensive experiences to deliver the projects with cable installation technologies in various site conditions such as direct burial, duct pipe installation, horizontal directional drilling (HDD), vertical shafts or utility tunnels. As a leading EHV manufacturer, we always provide solutions and benefits to the customers and ultimately to the societies around the world. As an example, we have completed 115 kV cable installation in approx. 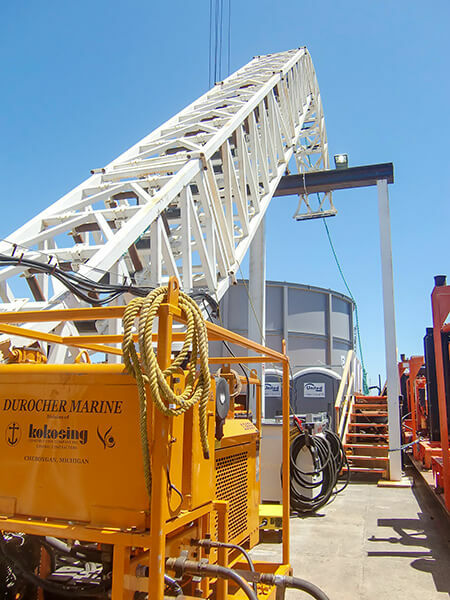 1,850 m HDD pipe crossing a channel in the U.S., which is cost effective and technically robust solution compared to the conventional submarine cable installation. Sumitomo Electric supplied a total 120 km of AC 500 kV XLPE cables to Shinkeiyo- Toyosu project in metropolitan Tokyo area. 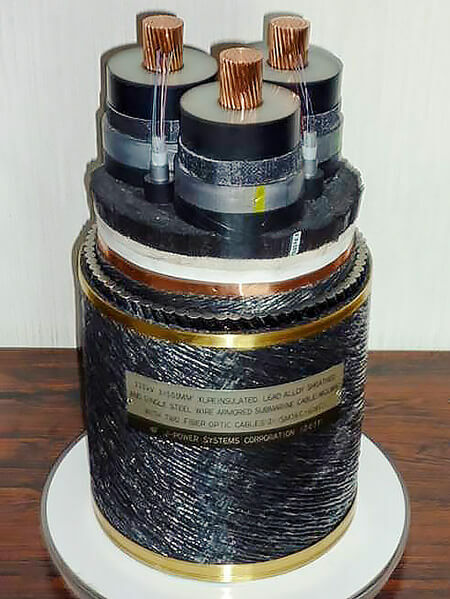 It was the world's first project to adopt 500 kV XLPE cable technology for long distance transmission line and has been in operation since 2000. 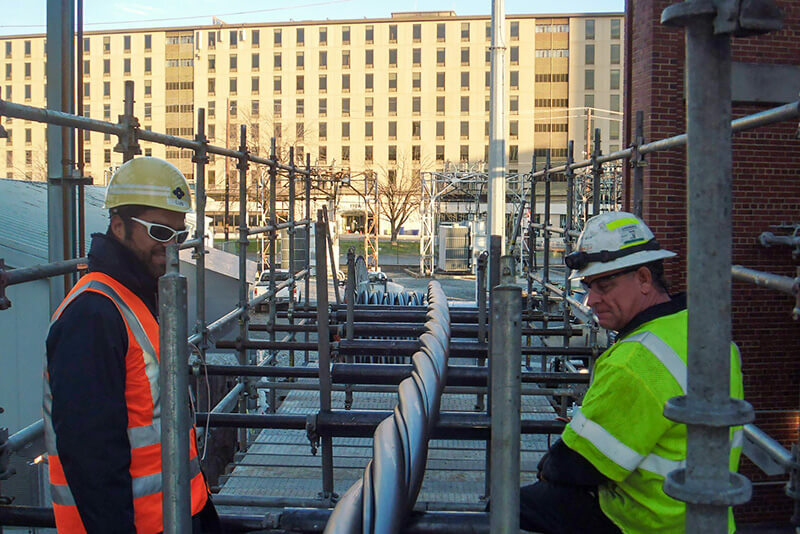 HVAC XLPE Triplex Cable Projects in the U.S. In order to solve oil-leak problems with existing Pipe Type Fluid Filled cables, we have developed and propose to customers the use of our unique patented XLPE Triplex cable design. Such an innovative cable technology has been developed through a number of consultation process with the customers who seek such solutions.